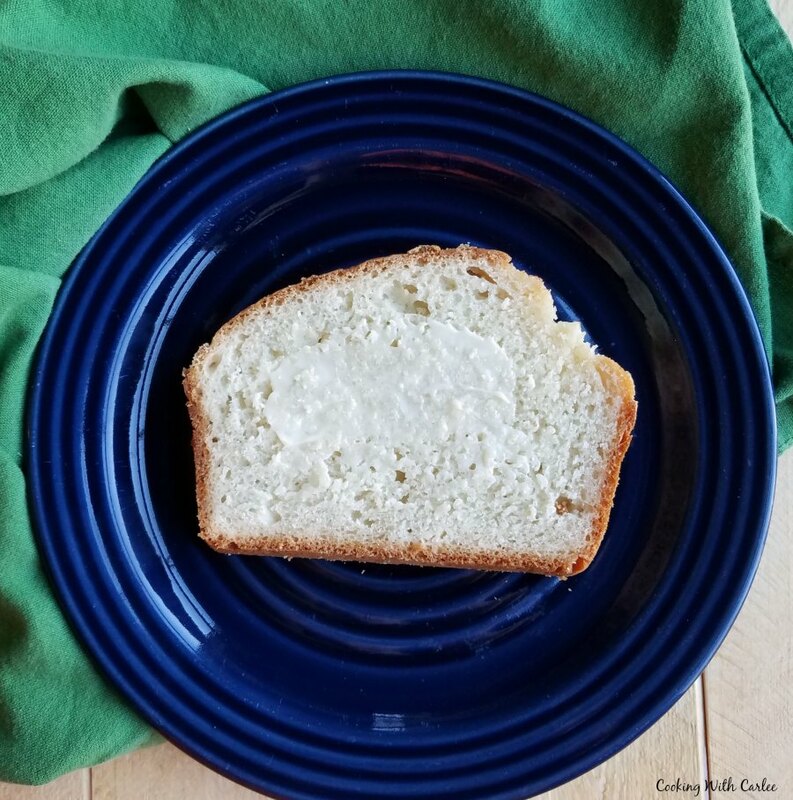 Homemade beer bread is so easy to make and a perfect accompaniment to stew, soup, chili and more. It is also perfect on it's own with just a schmear of butter! This is one of the original recipes that was sent it when I put out that initial call for recipes from family and friends way back when. Who would have guessed that a quick email like that would have resulted in a blog that is still going strong almost three years later?! It has been a wild ride to say the least. A lot of those early recipes that are the real reason why this blog is here are in need of some updating. I hope to work my way back through them as time allows. When I made the apple pumpkin chili, I knew this beer bread with a hard cider twist would be a perfect side and I was right! 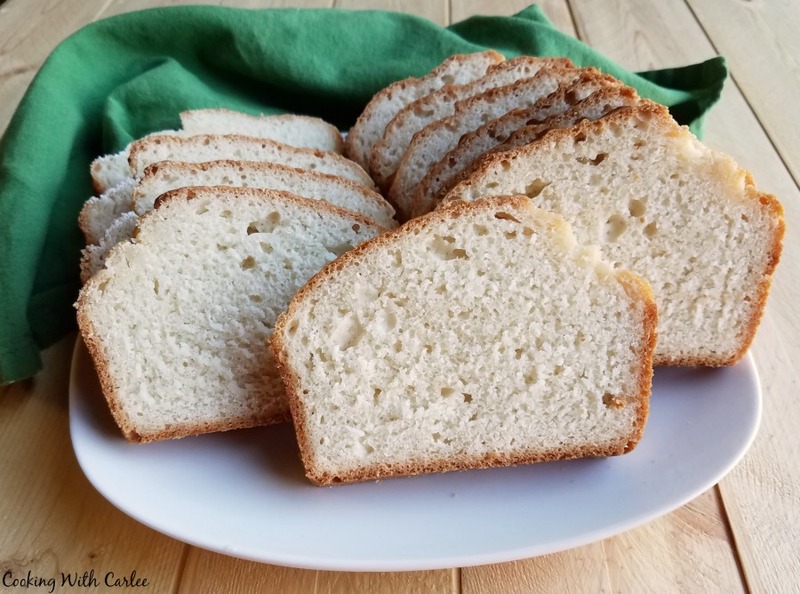 Matt's Aunt Dori said that beer bread is a favorite of guests at her house. I have had beer bread before, always made with a lager. In fact it was usually made from whatever beer your friends brought over and left behind. You know, the one you won't drink but you could make bread out of! But Dori had a few suggestions, and none of them were that. She said that dark crafty beers were really good. I had always wondered about that, but had been afraid to try it. She also said that Mark's nieces went crazy over a loaf made with hard cider. Hard cider?! In beer bread?! Now you have my attention. I have to try that! So, I put that theory to the test and made a loaf to go with our soup for dinner. You know what? It is really good! Beer bread is a little sweet anyway, so the apple really goes well in the recipe. We paired the bread with some spicy black bean soup and the sweet was a really nice balance to the heat. Mix all ingredients except the butter in a bowl. Perfect with the Pumpkin Chili or Black Bean soup, I bet this makes the house smell amazing!! Love the addition of a hard cider. Have a marvelous Monday!! It is soooo good and so easy. I wasn't sure how I'd like it with the cider instead of beer, but it was amazing. I think I'll make it that way from now on! You know I'm a homemade bread fanatic right? I feel like you posted this just for me! It sounds sooooo good, and so perfect for fall! I have never heard of anything as amazing as this! Hard cider in a bread! Really? And the loaf looks perfect! Need to try asap! And beer bread makes it so easy! The hard cider works really well in it! I haven't made beer bread in years!! And yes, it normally gets the beer that wasn't a hit. The last one I tried was a pumpkin ale that wasn't our thing, but was fantastic for other things.... Like bread! Oooh, a pumpkin ale bread would be fun to try! 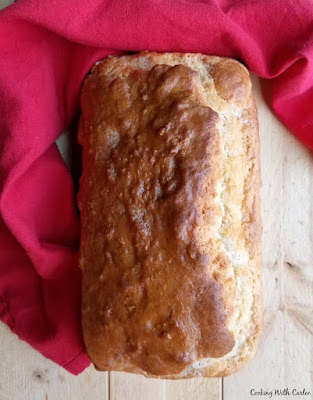 Beer Bread is always a winner here at the cottage! I really appreciate you sharing your awesome post and your talent with us at Full Plate Thursday. Have a great weekend and come back soon!